Since I looked at the experimental text The Truth About Cats and Dogs in my blog post from week 6, I have been curious about revisiting this text and others like it in my final paper. My interest in experimental e-books looks specifically at the idiosyncrasies of the touch screen technology of a smartphone in conjunction with the architecture of the page. The smartphone as a platform interests me since it is a unique tool whose screen has unique properties that change depending on the text, operating somewhere along the spectrum between e-book and tablet, or even more closely resembling the screen of a video game app. I would also like to examine the ways that these texts utilize the page in ways which render, as the publisher put it, “unprintable” fiction (Lea). This is a concept that fascinates me and I am contemplating how to use the final paper as an opportunity to explore the implications of this. In what ways does the text really defy print and in what ways might we still see traces of a deeply embedded print culture still at work beneath the layers of the materiality of the text? 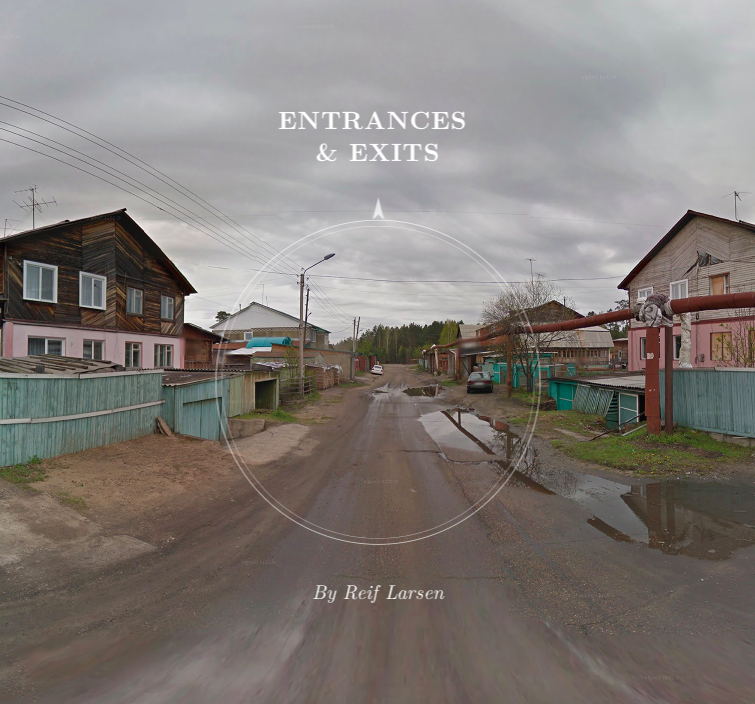 “Borgesian love story told through Google Street View, in which the narrator discovers a mysterious key in an abandoned bookshop and gradually learns of its power to open and close doors around the world. The story is a beautiful dance between fictional narrative real locations that seamlessly spans the globe” (Larsen). The simulation of environment is one way that the experimental book seeks to use its digital environment to the fullest, and resembles a gaming experience as well, perhaps blurring the lines between both. Throughout this course we have looked at how the opportunity to create and relay meaning exists in so many aspects of a text. In this vein, in How the Page Matters Bonnie Mak draws our attention to how “words on the page are regularly understood to transmit information through language, but they can convey meaning in other ways” (15). By taking the architecture of the page together with some elements of media studies, I’m hoping to use analyze the way that meaning is created in this book, since its innovative use of its structure is central to the reason behind its creation as a piece of literature. It is a piece of digital literature whose content is inextricable from its container, making it bound to the page more than its designers may have thought. Mak, Bonnie. How the Page Matters. Toronto: University of Toronto Press, 2011.